In the X-Men comics Apocalypse selects and upgrades four powerful mutants to be his four horsemen. This is the group he has rampage across the world to test everyone's strength. The weak are eliminated and the strong are promoted. 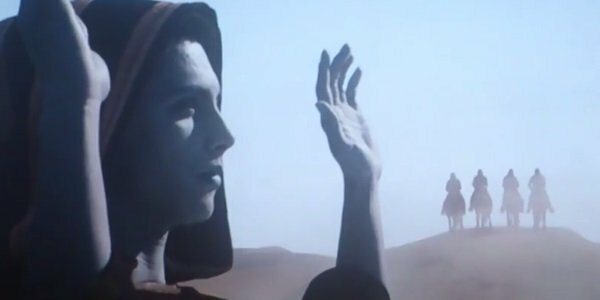 In the after credit scene of X-Men Days of Future Past we see a young Apocalypse and a group of four horsemen rest upon a hill. These are his four horsemen of this past age. When Apocalypse wakens from stasis one of his first acts will be to recreate this group. It sounds as though the Horsemen will be similar to both their comic and Biblical counter parts and be named after 4 primary disasters to befall the humanity they are War (Conquest in the Bible), Famine, Pestilence and Death. Apocalypse carefully selects each of his riders amongst the powerful people (typically mutants) of each age, then uses technology to further enhance each one. Sometimes the rider wants to join with Apocalypse other times as in the case of Wolverine they are forced into it. Who will each Horsemen be? One of the Horsemen is going to be Angel. This can be said with the utmost certainty as a picture of Ben Hardy has already been released depicting Angel as Archangel also known as the Apocalypses Rider of Death. Wolverine in the comics was also converted into one of Apocalypse's riders and I think he could find himself used in that way in the film. Wolverines Adamantium claws were cut off in the film the Wolverine but then were shown covered in metal during the future sequences of Days of Future Past. How does he have his metal claws in the future? This seems to point toward something happening in the interim that would recreate his metal claws. Certainly, one character capable of repeating the Weapon X Skeleton process on Wolverine is Apocalypse. With that in mind I think Wolverine would make a very good rider for War. I don't have any other great insights on the other Horseman, I think the two mutants selected by Apocalypse in the comics in the initial series make sense. Another Morlock by the name Caliban has also served as both Death and Pestilence. He had the power of tracking other mutants. There was a mutant cyborg named Ahab who became Famine during the 12 Storyline.